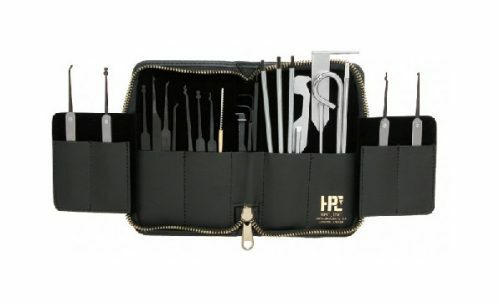 16 Piece Set with Genuine Leather Case. 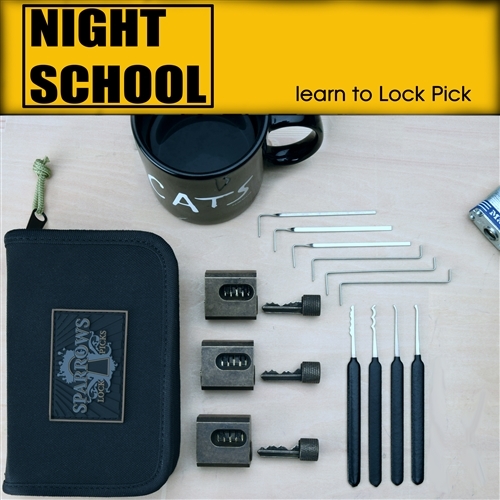 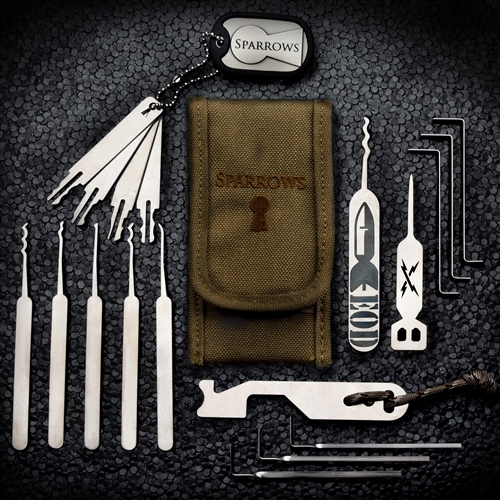 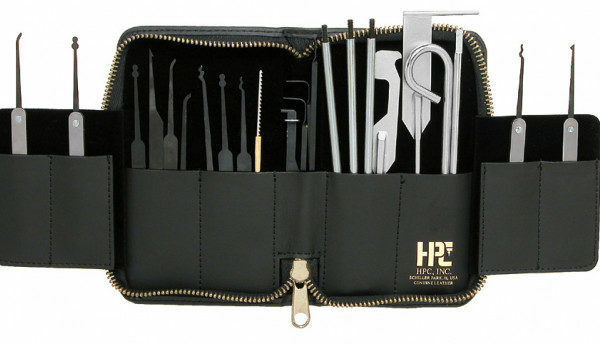 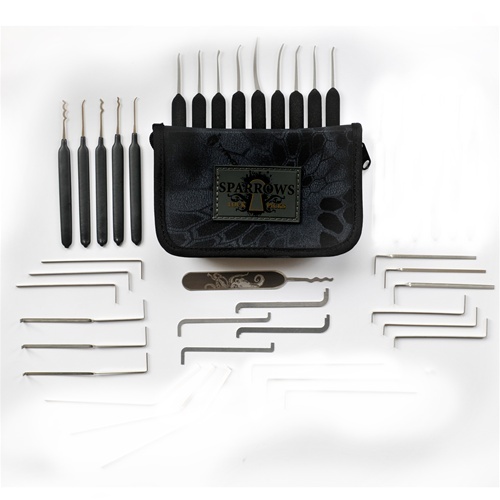 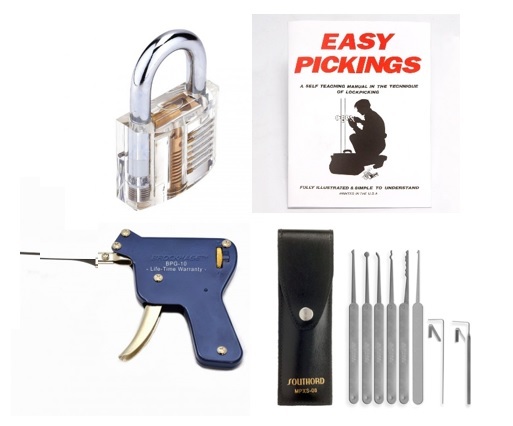 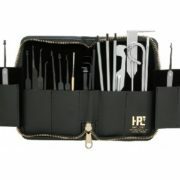 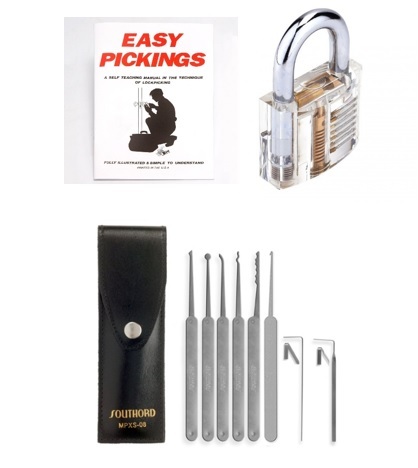 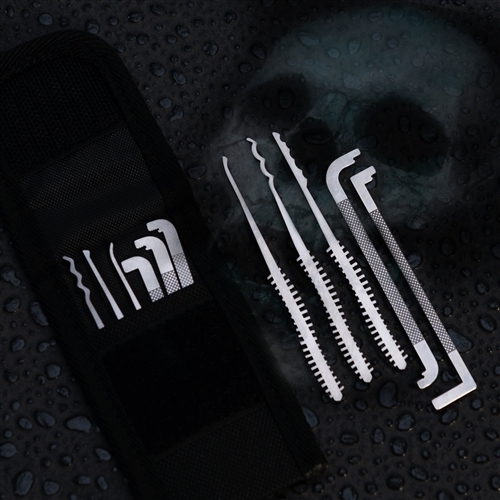 This pick set includes 16-pieces – 10 picks, 4 tension tools, and 2 extractors, a top grain leather case, as well as The Pocket Jim car opener. The car opener can be assembled to be a slim jim or through the handle style opener.